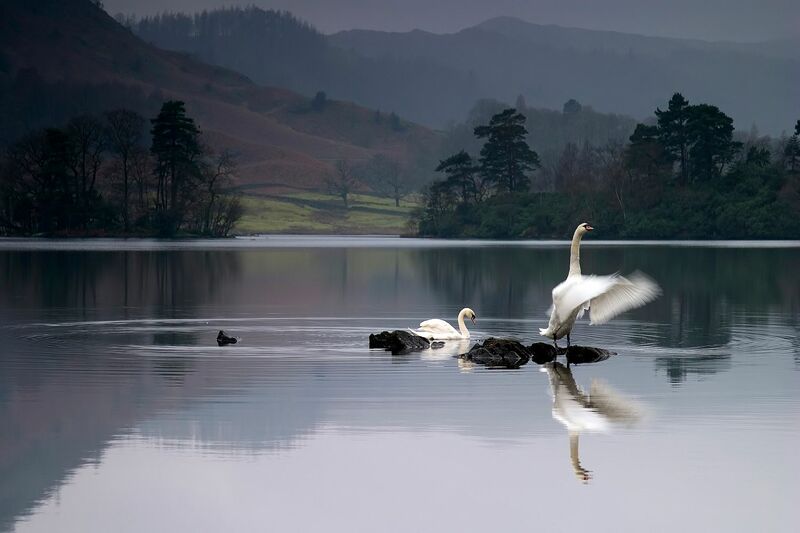 I saw this Dawn Display at Rydal Water with a pair of swans displaying on the lake. They were perfectly enclosed by a large ripple in the water. Swans mate for life and I have often seen this pair as I pass by on my way up to Keswick. I couldn't resist stopping to capture this beautiful scene.